A walking buddy that chirps and sings "Twinkle Little Star!" 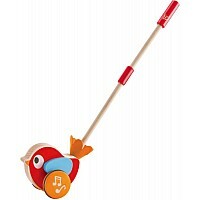 So cute, especially for young ones just reaching their stride, developing balance and motor skills. A beautiful and colorful design, with solid wood construction. 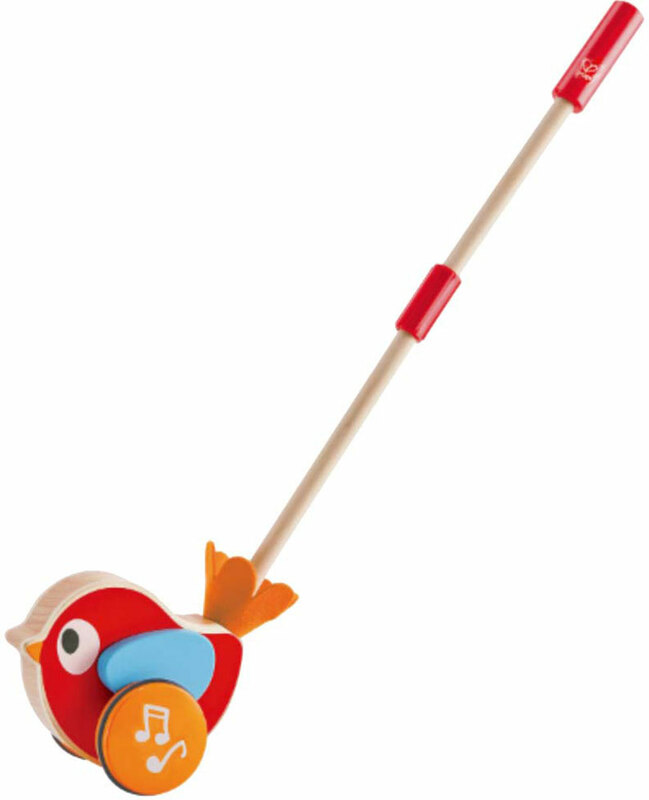 For ages 1-3 yrs, from Hape Intl.